An Illustrated Parable that brings the gospel to life. "Mike Ferris made the scriptures come to life in a way that has forever changed the way I think about God's relationship to me and my relationship with God." Watch the trailer below as Mike demonstrates, through the shaping of clay, God's awesome plans for us. Here's what church leaders across the nation are saying about "A Journey to the Potter's House". We love A Journey to the Potter's House because of the presenter. 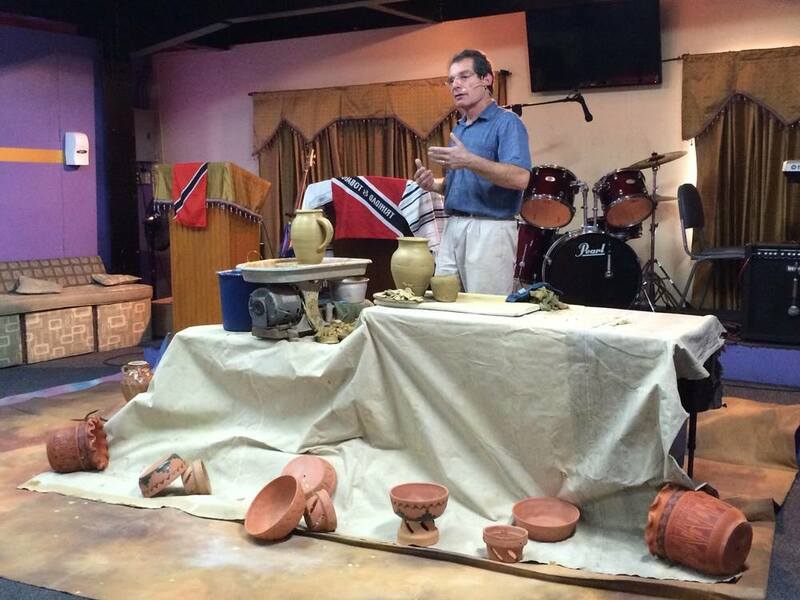 Dr. Ferris really is a potter, and a counselor, and a teacher, and a minister. Most of all, he loves Jesus and has given himself and his time and energy to further God's kingdom - every day, every week, every year. Janet L. Dale, Ph. D.
As one raised in the church for 52 years, I have never witnessed such an incredible presentation of the Gospel and the reality of Jeremiah 18. I highly recommend Dr. Michael Ferris and "A Journey to the Potter's House". You and your congregation will laugh, will weep, but most of all you will be blessed. That one word best describes Mike's 90 minute presentation. If you are interested in the lives of real people who have real hurts being transformed by a real God, you will want to bring Mike to your venue. His knowledge, experience, and openness will relate to audiences of all sizes, ages and backgrounds. You gotta see this! Nowhere is there a more vivid example of the relationship between God and His people than is seen in the relationship between the potter and their clay. A Journey to the Potter's House is a 90 minute illustrated sermon that brings you face to face with God in a way that will forever change the way you understand His working in your life.